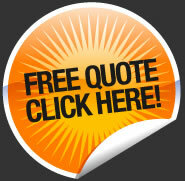 ALL-STAR FENCE NOW OFFERS INTEREST FREE FINANCING! We understand that having a new fence installed is sometimes a difficult decision and can be an expensive project. And, while we always try to offer the best Spokane fence prices, sometimes a new fence can be more than customers can afford. To make paying for your new fence easier, we have teamed up with Paypal, one of the worlds leading payment services, to offer 6 Months, Interest Free Financing on all of our fence products and services. Call All-Star Fence Spokane today to find out more, or request a Free, No Obligation Estimate online by clicking the link below. Thanks for your time, we hope to hear from you soon. The process is simple. Meet with one of our estimators to receive a bid for your fence project. If the price is right and you would like to use All-Star Fence Company as your contractor, we will send you an online link to apply for financing. It takes just a few minutes and you will be instantly approved. At this point you financial obligation with us is complete and you will be billed directly by Paypal for the total project. With no down-payment and 6 months no interest, you have the flexibility to break the cost of your fence project into smaller, easier to manage payments.